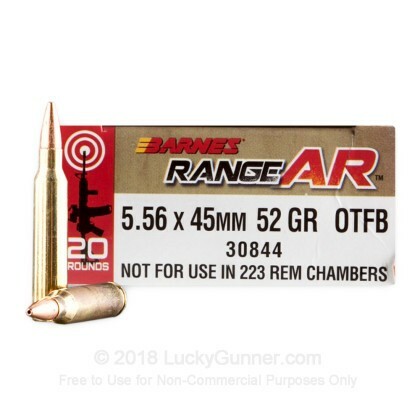 These target and competition focused "Range AR" rounds exhibit the superb quality that Barnes is known for but at an affordable price point for use at high round-count training events and matches. 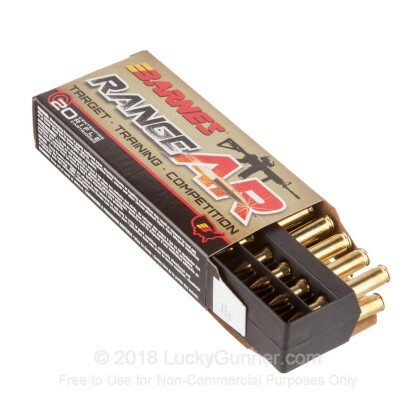 This 5.56mm cartridge profile features a factory fresh brass casing equipped with a non-corrosive primer and topped off with an Open-Tip Match (OTM) Flat Base projectile with a zinc core and copper jacket. Zinc is not only a safer, cleaner alternative to lead but is easily formed into a aerodynamic shape with precise density and consistent accuracy that can't be beat. 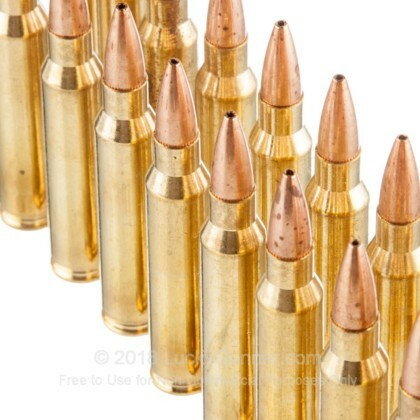 These accurizing effects are magnified by the OTM's drag-resistant meplat (bullet tip) and toothed cannelure which resists jostling caused by recoil. Each bullet weighs in at 52 grains and is backed by a heavily tested propellant charge for flat shooting at practical competitive distances. Furthermore, 52 grains stabilizes excellently with 1:8 and 1:7 twist rates which are common to modern match and fighting rifles. 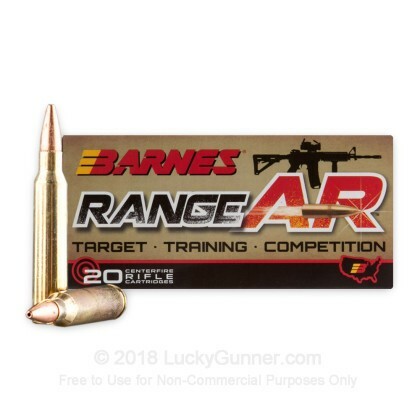 Barnes has been known since 1932 for inventing unique projectiles with astounding performance. 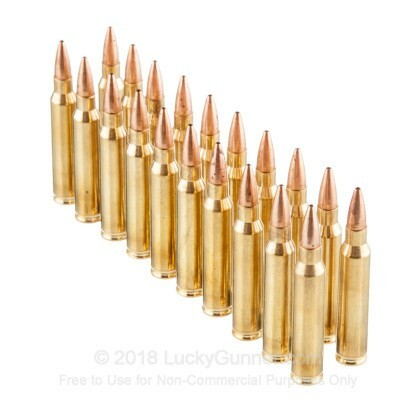 Their finished ammunition represents that reputation with top-shelf components and strict inspection processes. 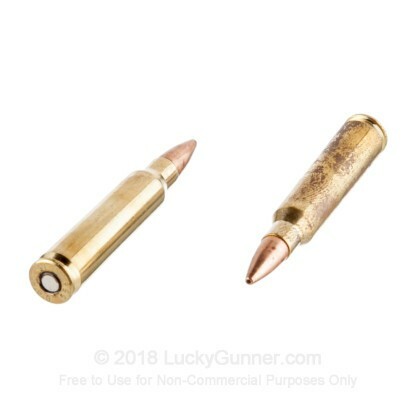 Barnes goes above and beyond the call by including a QR code on the back of each box which links shooters to ballistic data tables with drop rates for differing barrel lengths.